In addition to "normal" design work, I'm often hired to consult or design haunted attractions and scare zones for theme parks. The haunted attraction industry is a unique niche which requires a solid understanding of psychology, sociology, scare tactics, magic illusions, ADA and life safety rules, and other code compliance. I'm proud to have been part of many spine-tingling projects that have entertained and scared hundreds of thousands of people world-wide. "An old riverboat found mysteriously stranded in a cursed swamp..."
"You are caught in the crossfire of the ancient battle between good and evil." Served as Scenic Designer for attraction. 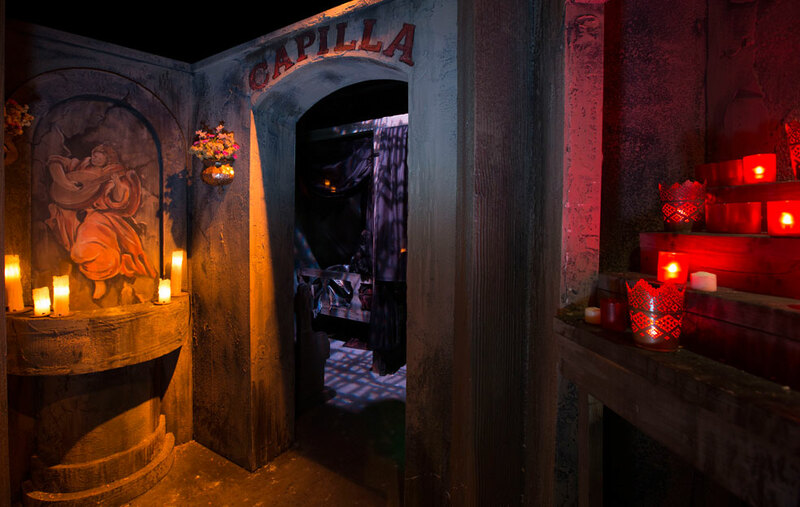 Haunted attraction based on Mexican folklore - La Llorona, "The Weeping Woman." Served as Scenic Designer for the attraction. A 1950's-style attack from outer space! Images shown are of work done for clients, companies, and collaborators. Images of intellectual properties or brands depicted are fully owned by the copyright holder.